The Domaine du Bouchot is located on the right bank of the Loire (Central France). Its wineries grow on the South-West slope of Saint-Andelain. Our vineyard was an old farm renovated in 1966. Some of its lands are Kimmeridgian marls particularly conducive to vines. 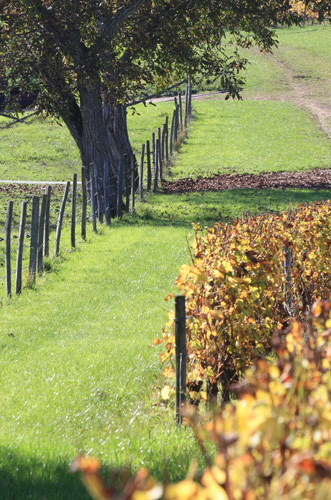 In 1985, we developed a vineyard on our Côte des Prés and Fouinelles plots. In 1995, we extended it to the Vaurigny and Papillons plots where Portlandian soil, another slab of Upper Jurassic worldwide known for giving supple and fruity wines, outcrops. As environmentalists, i.e. organic activists, we have been looking to produce “less but better”, achieving in 2004 an organic then biodynamic wine in accordance with the living.